My first meeting with Dr JO LUSI, the founder and legal representative of HEAL Africa, began with a mishap. He was due to speak at a small breakfast meeting in Brisbane on a Saturday morning. It was very early and I had just finished a busy week of clinical work… to be honest I didn’t want to be there. However, I will never regret that day. The mishap occurred when water was spilled on his laptop, ruining his presentation. Consequently Jo spoke off-the-cuff of his love for his country, the parlous state it was in and his desire to do something about this, with particular reference to the medical care offered. He indicated that if he sent young doctors out of the country to get better training they would often not return. I was intrigued by all of this, but perhaps what captured me most was Jo’s obvious passion and desire to make a difference in his country. He spoke of the sanctity of life and considering the background of DR Congo, that was impressive. He spoke of his vision for his people and how the health of the country could be changed if young doctors were well trained and mentored. Once back in Queensland my wife, Gwen, and I began to recruit a team of medicos and nurses who were willing to be part of training medical staff in DRC. 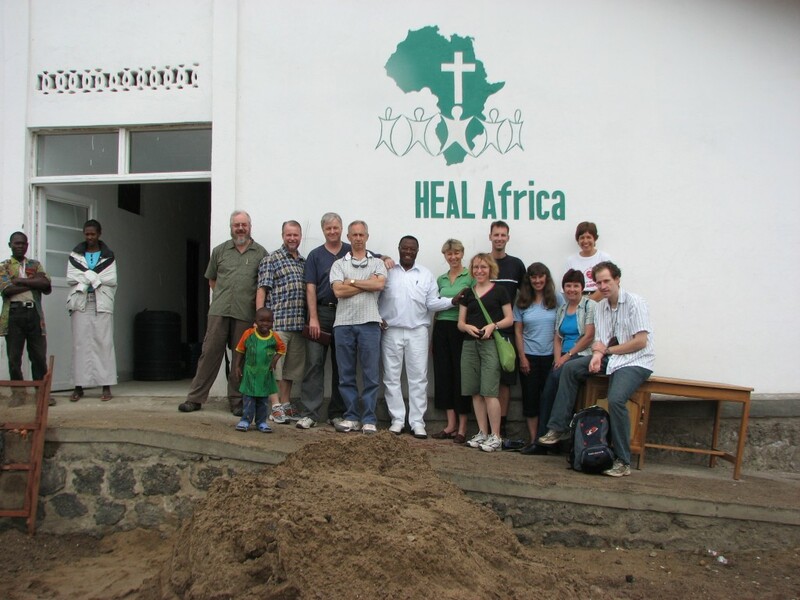 We led the first multi-disciplinary medical team to Goma in 2006 and have been taking similar teams every year since. After the first few trips it was apparent that we also needed to improve the administration and IT capabilities of the hospital so a wider group of people became involved in our teams. All team members have been self funded but as the work grew it also became apparent that we needed to form a not-for-profit charity that could better support the project as it developed, both financially and structurally…… hence AusHEAL was born. AusHEAL’s focus is about ‘Australians advancing healthcare in the developing world’. The slogan ‘Improving Health: Impacting Life’ sums up the aims and goals of AusHEAL.